UPDATED: Thu., Oct. 18, 2018, 9:12 p.m.
Montana was the obvious choice. The defending Big Sky Conference men’s basketball champion returned the bulk of its talent-heavy roster, including three of the conference’s top players. That’s why the Grizzlies were the overwhelming favorite to repeat Thursday in the conference media and coaches’ preseason polls. Montana guard Ahmaad Rorie was voted preseason Big Sky MVP, joining fellow returning all-conference teammates Michael Oguine and Jamar Akoh. The trio combined to average 46 points a game last season. Weber State and Northern Colorado were picked second and third in both polls. Eastern Washington, which returns four starters from last year’s 20-12 squad but lost the conference’s all-time leading scorer, Bogdan Bliznyuk, in both polls was picked fourth, where it finished last season. Idaho was picked eighth and ninth, respectively, after finishing second a year ago. It lost six seniors from its 22-9 squad. Joining Rorie on the preseason All-Big Sky team were Oguine, Weber State guard Jerrick Harding, Montana State guard Tyler Hall, Northern Colorado guard Jordan Davis and Portland State guard Holland Woods. 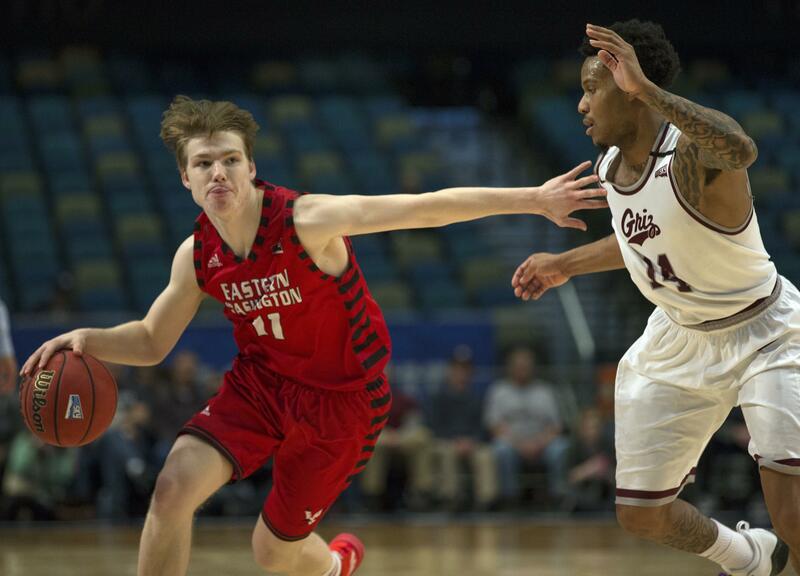 EWU head coach Shantay Legans said he expects 6-foot-8 forward Mason Peatling, an All-Big Sky honorable mention last season, to emerge as one of the best big posts in the conference. The Eagles had back-to-back conference MVPs in Bliznyuk and Jacob Wiley the past two seasons. “Not having a player on the preseason all-conference team but still being picked fourth is pretty good,” Legans said. “That shows that (media and coaches) know how good our players are. EWU opens its season Nov. 6 at Syracuse. The Vandals open their season Nov. 2 at home with an exhibition against Lewis-Clark State. After finishing second last season, the Idaho women were picked to win the Big Sky Conference. The Vandals, who were picked first in both polls, return two of the Big Sky’s top scorers in guard Mikayla Ferenz (22.5 points per game) and Taylor Pierce (15.6 ppg). Ferenz was also voted preseason Big Sky MVP, joining a preseason team that includes Pierce, Northern Colorado guard Savannah Smith, Portland State guards Ashley Bolston and Sidney Rielly, and Idaho State forward Grace Kenyon. Portland State was picked to finish second in both polls. Defending conference champion Northern Colorado was picked third in the media poll, fourth in the coaches’ poll. Eastern Washington was picked fifth and seventh, respectively, a year after finishing fourth behind the efforts of all-time leading scorer Delaney Hodgins. Hodgins has graduated, but EWU returns three starters, including guard Violet Kapri-Morrow, an All-Big Sky selection last season. EWU opens its season Nov. 4, hosting Simon Fraser in a exhibition. Idaho starts its season Oct. 28 with a home exhibition against Saint Martin’s. Published: Oct. 18, 2018, 8:32 p.m. Updated: Oct. 18, 2018, 9:12 p.m.